Sun and Shade Grass Seed? Man/Woman has been searching for three things over the decades. Sun and Shade Grass Seed. After a recent talk by Glennon Kraemer at my “Grounds Management” class, I realized that #3 just does not exist. Grasses that do well in shade will be burned up in the sun and seeds that do well in full sun, will die in the shade. What Glennon advises is to buy two different types of seed. 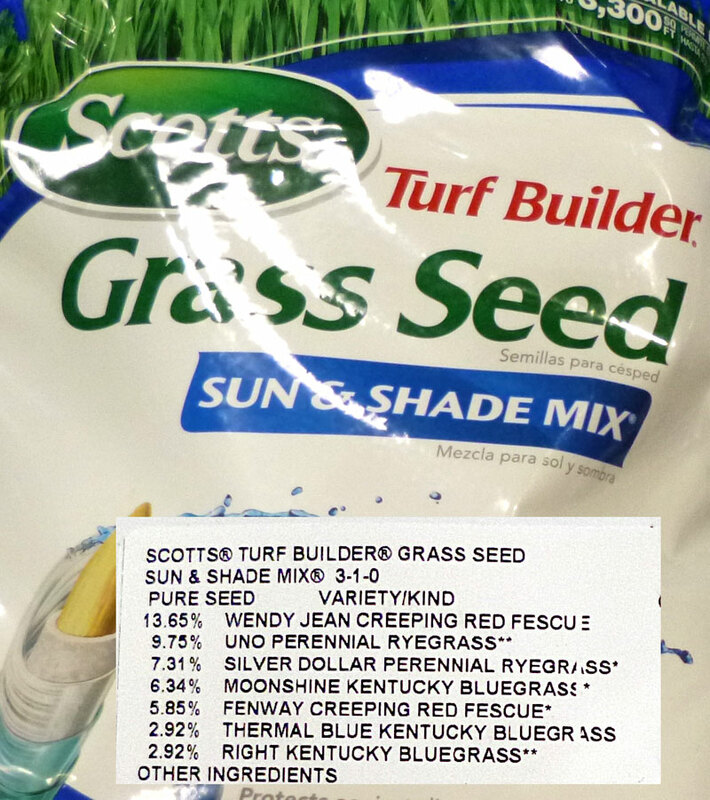 Buy a shady mix for the shady areas and a sun mix for the sunny areas. He defines a sunny area as any area that gets at least two hours of direct sun during the main part of the day. The picture I’m showing is a mix that is sold at Costco. Glen says that Tall-Type Fescue is the best overall choice for St. Louis. Unfortunately, there is none of that seed in this mix.